Are you tired of dressing up for the day’s activity and later become so uncomfortable due to a sudden change of weather and environment? If yes, then this is a must-read article for you as science has been able to provide a solution to that problem. Join me as you read more. 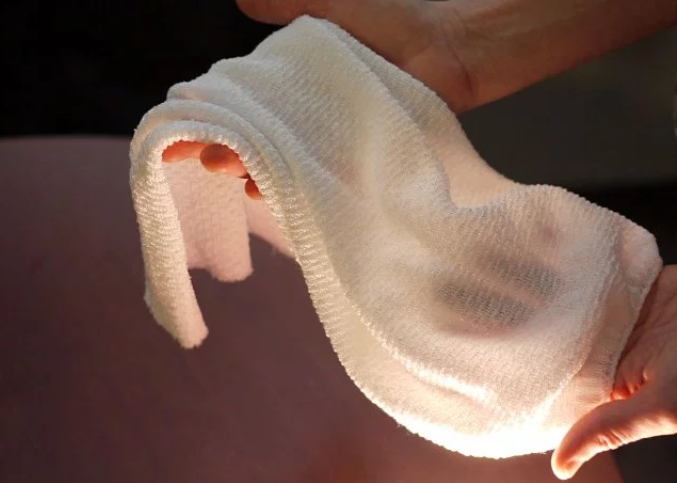 Researches from the University of Maryland has been able to successfully invented a special kind of fabric that changes due to the temperature of the human body, amazing isn’t it? This invention actual manages the right amount of infrared radiation that goes through it. Significantly, due to the right amount of metal – coated Strands that react to the right amount of heat passing through them makes this fabric fascinating. Also, it is noted as a new research paper published in Science. Making up the strands are two different categories of material which cannot be found naturally of which a thread absorbs moisture while the other repels it. The fabric absorbs heat from a sweating skin and changes shape, also endorse the outflow of infrared radiation and speedily cooling the skin and also serves the same function in making the body temperature hot. In quote ‘’The human body is a perfect radiator. It gives off heat quickly’’, Co-author Min Ouyang said in a statement. ‘’For all of history, the only way to regulate the radiator has been to take clothes off or put them on. But this fabric is a true bidirectional regulator’’. A lot of promise awaits consumers of this fabric and recent research as it will be utilized gradually.